You’ve decided to outsource your logistics, and you’re being courted by several 3PLs. Each promises everything under the sun: the latest technology; the fastest cost savings; the most sustainable improvements. Your team is excited – these promises will yield results. You’re ready to make a decision and forge ahead. Things will be great with your new 3PL, right? Not so fast. There’s a key concept to consider in the RFP process: the distance between your current operations and the improved processes you’ll implement. The bridge between them is business integration, and it’s vitally important to find a 3PL partner who gets it right. Transitioning operations from in-house to outsourced is often an unstructured and informal process, led by those with the most “tribal knowledge” of how the organization works. This poses a serious threat to a smooth transition – what if the “tribal knowledge holders” become unavailable in the middle of your startup? What if they are unwilling or ill-equipped to pass this knowledge along? How will you rebound if mistakes are made? Your new 3PL “partner” may expect you to take the reins in this process. How will you do that when resources (people, money, time) are already stretched? Isn’t this why you hired a 3PL in the first place? The bottom line is this: if a 3PL can’t demonstrate how they’ll integrate your business, chances are they don’t have a formal integration process. And if they don’t, it’s likely your warehouse startup will fail, in one way or another. So how can you be sure you’re choosing the right partner? We’ve outlined Seven Things 3PLs get wrong during on-boarding. 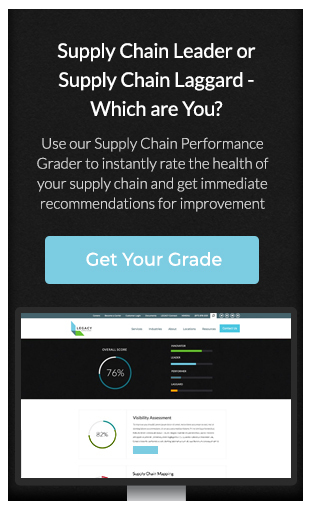 Learn what you should expect from your 3PL, right out of the gate, and use this warehouse startup checklist to track your progress. No integration should begin without the entire process, in all its components, presented for your input and approval. Any 3PL who does not hold an initial meeting with stakeholders, to ensure everyone is on the same page about critical integration elements, has missed the boat and can’t be trusted to execute a smooth transition. Your 3PL should design a meeting to review the following: Project Charter (Scope, Team Roles & Responsibilities, Communication Structure), Project Timeline, Project Plan, Project Budget. This is also the best time to hold an open “expectations exchange,” so that both your team and the 3PL can discuss important questions such as: “how will we communicate?” and “how will we hold each other accountable?” and “who do I go to if…?” and “how do we prevent scope creep/budget creep?” During an official kickoff, you and your 3PL should establish key metrics for cost, time, and quality of services delivered, as well as the “rules of engagement” for how to work with each other if the project somehow goes off-track. There are a lot of moving parts in any startup process. Who will keep track of them all and who will manage the resources responsible for effective execution? It certainly can’t be the people already making your business run day-to-day – where will they find the time? Your 3PL owes you a dedicated project manager: someone whose only job is to design and manage the process, not execute any of its components. This person should be multi-disciplinary – not necessarily tied to any one function, but with knowledge across all business functions (HR, IT, Operations, etc.) And they must be an effective people manager, able to hold their own team accountable while successfully managing the customer relationship. Without a dedicated project manager, chances are high items will be missed, processes will be derailed, and the project will be rocky at best. The days of using desktop software to manage complex business process are long gone. Static desktop software leaves too much room for error: conflicting versions of business-critical documents, the inability to email documents because they’re too large, the need for all parties to own the licensed software in order to access documents, etc. An Excel GANTT simply cannot manage all the integration processes in opening a new warehouse. If your 3PL does not use a cloud-based project management software such as Clarizen, Zoho, or LiquidPlanner, they’re missing the boat, and putting the success of your project at risk. One of your first questions to a 3PL during RFP should be “can you provide a sample project plan of how integration of our business will work?” If they can’t …run! Any 3PL who has effectively integrated new businesses knows how to do it well, and knows what a baseline project plan and timeline look like. There is no good reason a 3PL shouldn’t provide you with at least a template of an integration project plan during the bidding process. It might sound redundant to expect your 3PL to provide you with a process illustrating how to manage your process… but it’s important to have a formal communication structure outlined from the get-go, and executed by the dedicated project manager. This communication structure should outline the purpose, frequency, and recipients of all communications throughout the life of the project. Communication elements include the creation of a formal project charter/scope, weekly project progress/status meetings, weekly 1:1 check-ins by the project manager, task/activity planning sessions, monthly updates, a formal “lessons learned” session at project closure, and the creation of a final report. Successful business integration extends well beyond go-live, to ensure that knowledge gained during integration is successfully weaved into the fabric of operations. The dedicated Project Manager and any other support personnel should continue to support the operation for at least eight additional weeks, with a plan for weaning the operation off a full-fledged, all-hands-on deck approach in place from the beginning. Be clear with your 3PL that you do not want them to disappear the day after go-live – you should expect transitional support to set your business up for sustained, long-term success. Outsourcing warehouse operations is going to cause cultural disruption, even under the best circumstances. People in your organization may wonder what bringing in a 3PL means for your overall business direction, and your on-site team could face questions about what outsourcing will mean for them, the biggest of which may well be “will I still have a job tomorrow?” To make sure your organization comes out this experience in a better position culturally, ensure your 3PL partner understands the impact of the changes on your people. An effective 3PL understands that a new business startup is more than just a project – it is an exercise in change management – and they’ll work with you to create intentional activities and opportunities (communications, focus groups, expectation exchanges, employee 1:1s, pulse-point surveys, coaching, etc.) to ensure your culture stays healthy through the startup process and beyond. It’s critical to find a 3PL with a proven record in business integration and warehouse startups. Keep an eye out to make sure none of these common pitfalls happen to you, and use our warehouse startup checklist to build the right relationship with the right partner for your business.